From 13 to 64 years old, national and foreign passengers. 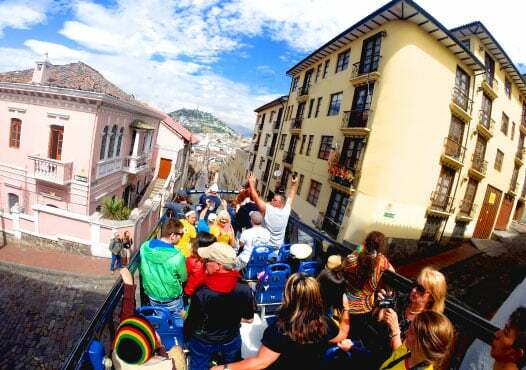 Enjoy an unforgettable journey through the largest Historical Center in South America, and marvel at its rich culture and architecture. 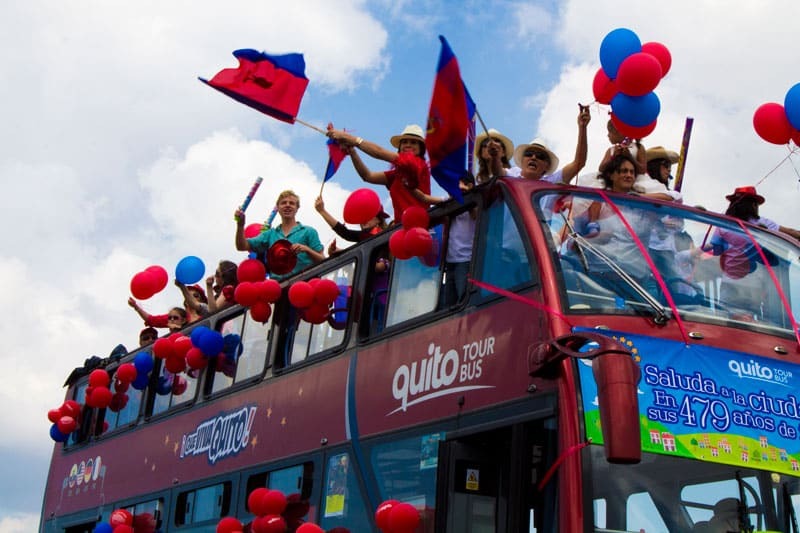 Our very own and only double-decker buses take you around the city, on a Hop On-Hop Off system that allows you to get off or take the bus at any of our 11 stops, so you may get close to the mayor tourist attractions of the north and center of the city, procuring a safe and comfortable trip. 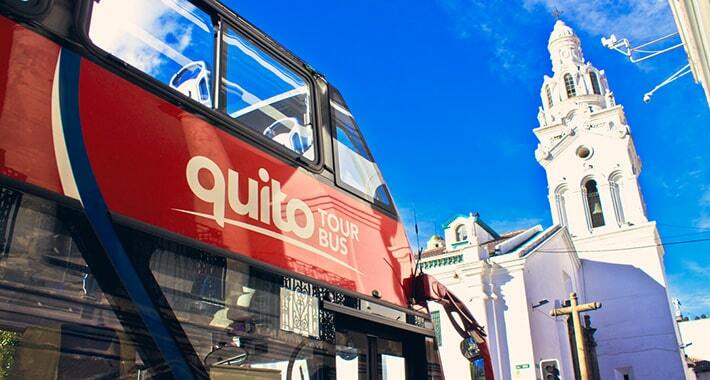 Your Quito City Tour Pass is valid from 09H00 to 16H00. 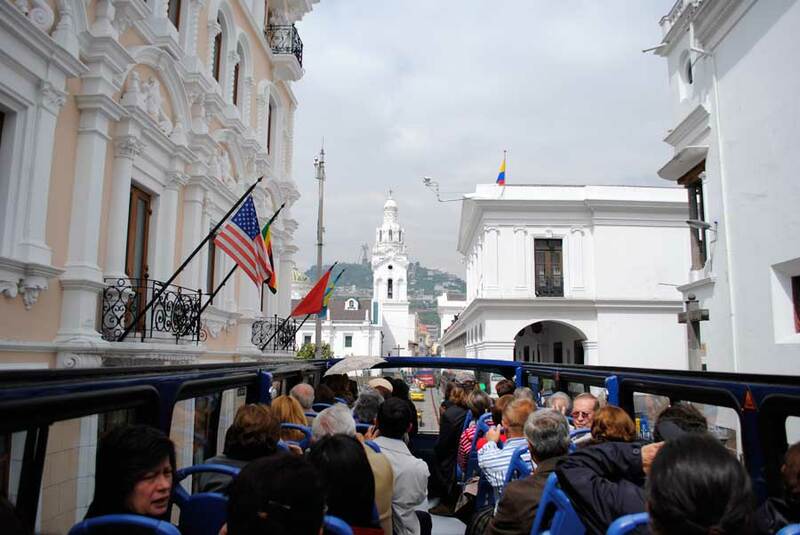 Our one and only double-decker bus in Quito offers a comfortable and safe tour around the main attractions of the city, from the Bulevar Naciones Unidas (in the financial north-center of the city), through the largest and well-preserved historical center of South America, to the `El Panecillo` lookout. You can get on and off the bus as many times as you like, at any of our official stops, with no additional cost, just by showing your day-pass ticket. During our tours, a bilingual tour operator, in English and Spanish, who would also help you if you have any questions, will accompany you. We will also provide you with additional historical information, curious facts, tips and places to visit. 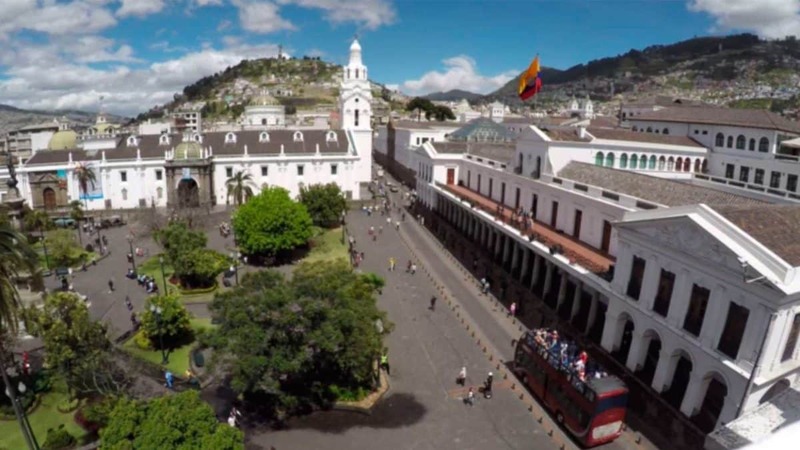 We will show you the most important information about the main streets, avenues and attractions of the city aided by a bilingual audio guide system in English and Spanish. 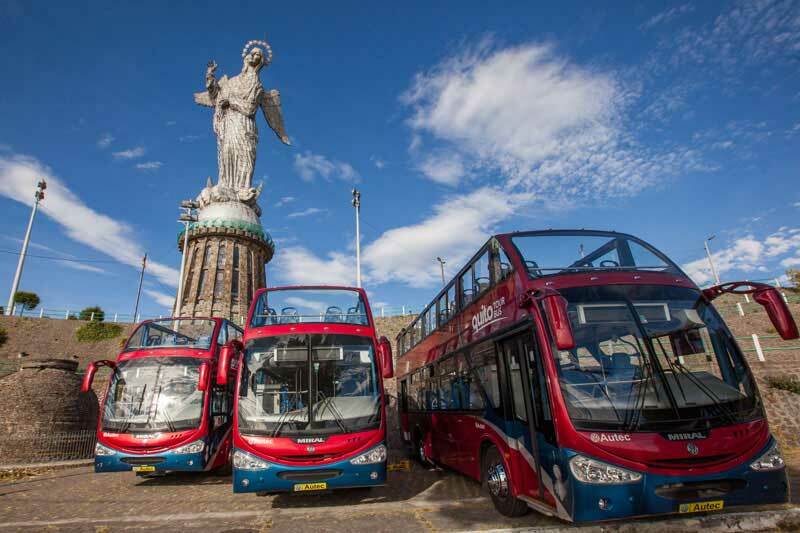 Visit the magnificent statute La Virgen de Legarda, and enjoy the beautiful view of the City of Quito from the lookout. 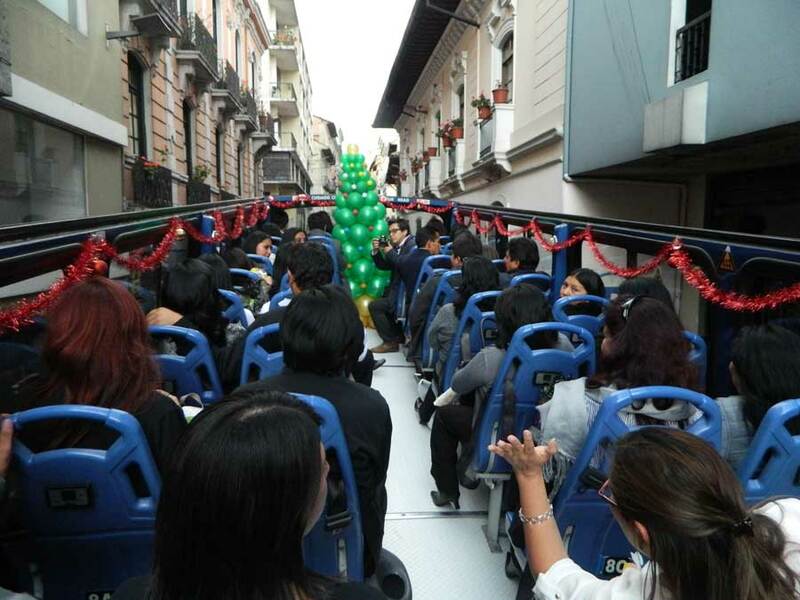 For our passengers’ convenience, our bus roof will be closed in case of rain. 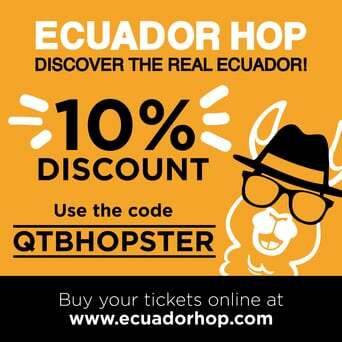 Keep your ticket-pass with you at all times because it is the only document that allows you to hop on-off the bus. In case you loose it, you will have to purchase a new ticket. The duration of the entire tour is of approximately 3 hours. The last bus departs from the United Nations Blvd. at 16h00, so be sure to arrive at on time if want to take the bus to another stop. * Subject to the transit times of the day, road conditions, and force majeure (eg road closures); which can cause delays on the normal frequency of travel. The frequency of the expedition is hourly. Our stops are fixed, check the stop closest to the site you want to visit. Applies for people from 13 years old to 64 years old. Applies for people from 12 years old to 64 years old. How to get to Devil’s Cauldron (Pailón del Diablo) from Quito?